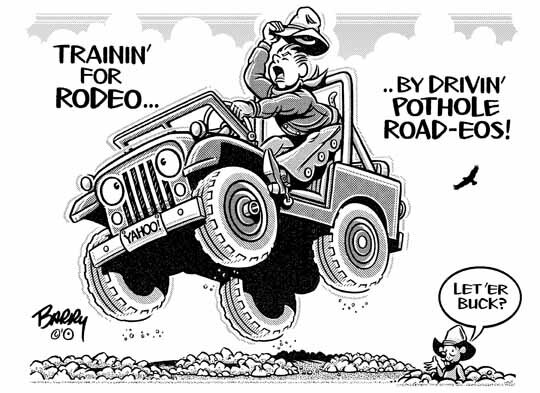 Yep, another RODEO-related cartoon — this one doing double duty. At once, it's a precursor to the actual arrival of RODEO thereabouts, plus a graphic illustration of POTHOLE issues which already may be part of your local reality. I'll have this & 12 other RODEO toons posted on my NEW Site in a few hours. You'll get a heads-up once they're all available. Enjoy your Friday, guys — we only get so many!